2013 shaped up to be a difficult year for OMD in spite of their successful “English Electric” album. While “History Of Modern” had gotten as high as #28 in the UK album charts, “English Electric” built on that new beginning to scrape the top 10 at #12. Pretty good for old guys who had seen even higher as well as much lower. OMD set off on a world tour for the “English Electric” album that saw them playing the usual European/UK dates as well as a North American tour. The closest they were coming was Washington D.C., so I sat them out that tour. The last half of the year was a flurry of tour activity for me, so I was content to give it another go with OMD at a later date. When Paul Humphreys had linked up with Claudia Brücken in 1996, I first caught wind of their union when she and Paul mounted a tour of The States in 2000, playing their old band’s music as well as the earliest fruits of their Onetwo project. When I saw OMD in March of 2011, I told Paul that I was eagerly awaiting the live CD/DVD project he had just recorded with Claudia at the time of her “This Happened” career retrospective show at Scala just a few weeks earlier. 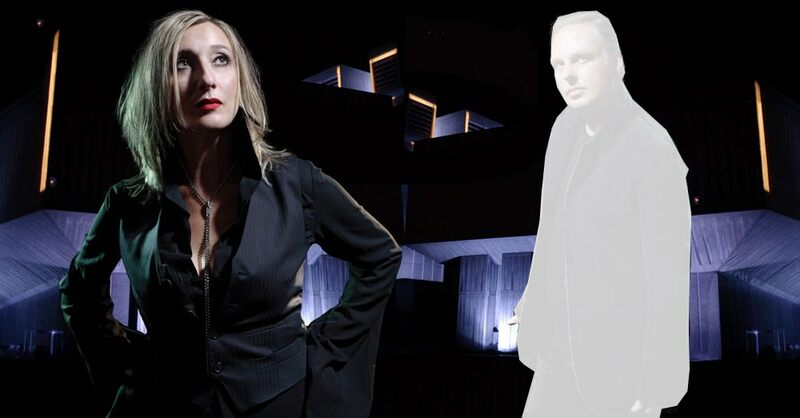 By 2013, there was talk of the second Onetwo album that came to an abrupt halt when in March came the word from official channels that Paul Humphreys was no longer the music director on Ms. Brücken’s upcoming German tour, which was cancelled. As was their partnership on all levels. 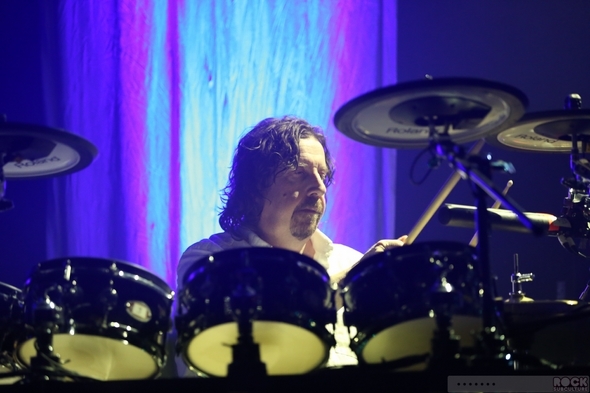 Paul had the OMD tour to throw himself into and it proceeded as normal until July 18, when Malcolm Holmes, who had already had one heart attack prior to the OMD reunion, had a second while onstage playing in stifling heat in Toronto. His heart stopped for almost three minutes before paramedics got it going again and a grateful Holmes wisely decided that the land of the living was worth the price of no longer drumming for OMD. But this threw the future of the band into question. The rest of the tour was cancelled and OMD thankfully, had given their fans full disclosure of all of the facts as soon as possible to nip any rumors in the bud. A few weeks later, Malcolm himself weighed in on the OMD mailing list. It was by the middle of 2014 when OMD announced their next move, after a year of no activity. 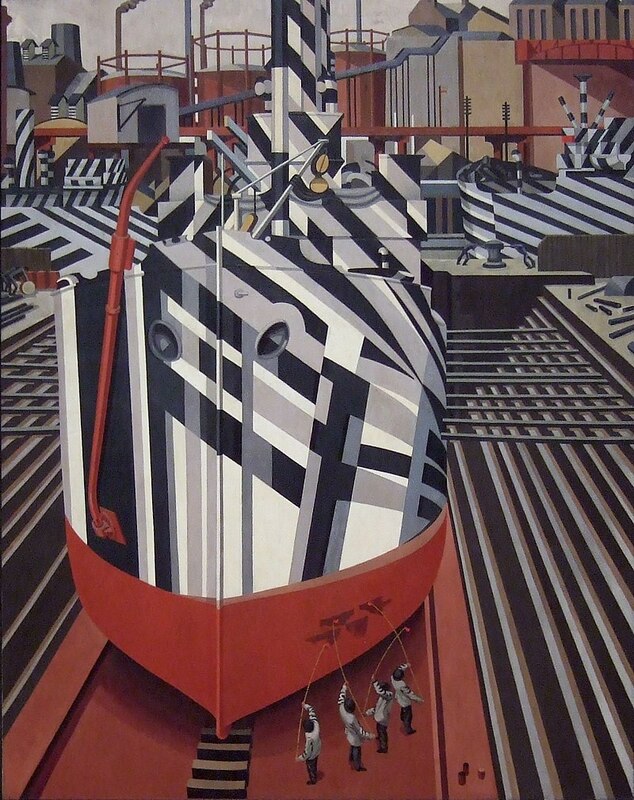 The band had found out that the Museum of Liverpool was going to host a dazzle ship [painted for camouflage at sea] in drydock as an artist was painting a boat for the event to play upon Vorticist Edward Wadsworth’s 1919 painting. Well, Andy McCluskey didn’t wait too long before contacting the museum about perhaps creating an installation for the boat, since the dazzle ships that had inspired Wordsworth’s painting had also caught the interest of OMD designer Peter Saville, who in turn told McCluskey about them. Thus inspiring their fifth album. The museum one-upped his offer and asked if they would like to play a concert as well. Then it snowballed into a pair of fund-raising concerts for the museum that saw the band playing a set list that eschewed some of their pop hits to lean heavily on the “Dazzle Ships” album. To the point that a couple of songs that had never been played live would have their debut. These were B-side “4-Neu” and the heartbreaking “International.” I would have dearly loved to have made it there but the band wisely recorded the event for a later CD/DVD package for we fans unable to attend. And the museum got some serious fundraising activity as OMD gave back to their hometown museum. While Malcolm would not be a part of these two shows, the band brilliantly dusted off the notion of “Winston,” their reel-to-reel deck which had stood in for a drummer in their live sets prior to their hiring of Holmes. These shows would be seriously vintage OMD events. This entry was posted in Core Collection, Designed By Peter Saville, Organ Auction Live Event, Rock GPA and tagged 2013, Claudia Brücken, North American Tour, OneTwo. Bookmark the permalink. Going back a few posts, did I understand correctly that Andy contacted you directly over a post you made on an OMD website? If so,that is impressive that he read it and what was your comment? Jordan – That post had a text link to the page in the OMD forum where Andy chided me for my assumptions. I was registered on the forum as REVO since my involvement predated my start of blogging in 2010 under the Post-Punk Monk aegis. You will recognize the PPM avatar though. That I could change after registering. If you click it you can read the page thread where fans were discussing the [very different] demo version of “Stay With Me.” It came with the boxed version of “English Electric” that was a strictly McCluskey song before Paul put his stamp on it. The OMD forum was a great community. Very vibrant in its day, and best of all Mr. McCluskey was very engaged with it. Not only was there an “Ask Andy” thread, but he would comment wherever he wanted to. When the new album came out, the band deprecated the forum since in this hellish new world Facebook has decimated all forums [at great cost] but while the current site no longer has an attached forum, the forum remains online and active to the die hards who have already registered. At one point, their server OS will get patched and its functionality will probably break at that point. Possibly a few years or maybe a few months down the line. Until then, it’s still there. Neglected, but there. I was lucky to go to the DC show, which was utterly fantastic. Andy was in full on Dad Dancing mode. That is as just days before Malcolm’s heart attack made it even more important – in that it would be the last time I would see the “classic” band lineup. At the time I was very happy that the setlist was heavy on English Electric. As it turns out, since that album was ignored on this most recent tour, it may be the only time I will ever hear Dresden or Metroland live. I was lucky enough to see this tour with Malcom as well. They played a few West Coast dates early on that year, and I rank it among my top 5 shows all time. The return trip later that summer was when Malcolm had his episode. It was so exciting to see the classic lineup. There was the added bonus of picking up English Electric at the merch stand a week before it was officially released too.